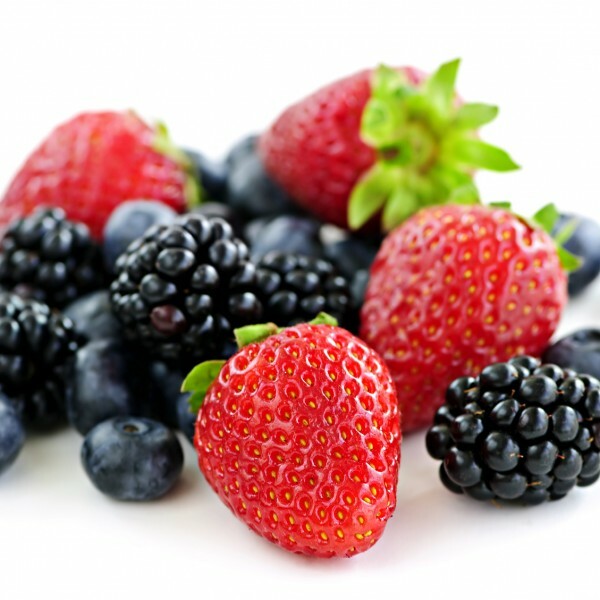 * Anti-oxidents--These products will provide all the goodness of anti-oxidants. Made with fruit juice concentrate, mildly sweetened with invert sugar, honey and naturally flavored. Fat free, Cholesterol free, and no artificial food coloring. 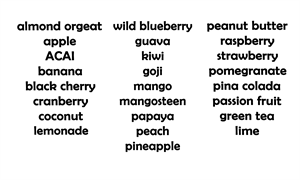 Fused with the most powerful fruits on earth with a delicious exotic taste and vitamins, you can enhance your customer’s beverage menu with Mangosteen, Pomegranate, Acai Berry and Goji Berry. These are ideal for making smoothies, milkshakes, juices, ice cream and other soft serve items! **Natural & Organic-- This ultimate natural fruit based product made with premium fruit puree, fruit juice concentrate and enriched with vitamins. Naturally flavored and mildly sweetened with invert sugar. 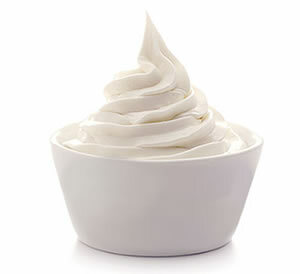 Fat free, Cholesterol free, Dairy free and contains no artificial food colors. This fruit creation is ideal for making smoothies, milkshakes, juices, ice cream and other soft serve items! (*) Natural--The smart answer to the generic pre-mixed powders or the artificial 100% sugar syrups available in the market today. These products are made with invert sugar, real fruit puree or fruit juice concentrate and naturally flavored. Fatfree, Cholesterol free, Dairy free. Delivers 100% RDI of Vitamin C and other essential vitamins. These syrups are ideal for making smoothies, milkshakes, juices, ice cream and other soft serve items! They are also specially adapted for use in Slush/Granita machines for the making of alcoholic/nonalcoholic frozen beverages. 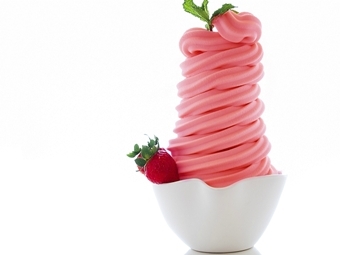 5-8oz puree / gallon of Frozen Yogurt, Ice Cream,or Gelato mix. 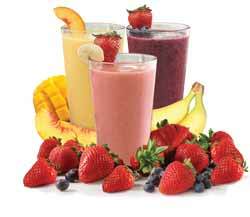 3-4 oz puree per 16 oz Smoothie or Shake.